Rotary Clubs are recognized by the Internal Revenue Service as social clubs and are classified for income tax purposes as 501(c)(4) and are not tax exempt. Many clubs have formed a club foundation, which is classified as a 501(c)(3), a Tax Exempt Organization. The Rotary club and the club foundation work together to accomplish their goals, the same way that Rotary International and the Rotary International Foundation work together. The club provides the manpower, and the club foundation provides the tax free structure. Many clubs do not have their own foundation, and this is where the New Jersey Rotary Capital District Foundation may be able to help! We are prepared to work with clubs so you can enjoy the benefits of using a 501(c)(3) organization in your fundraiser. 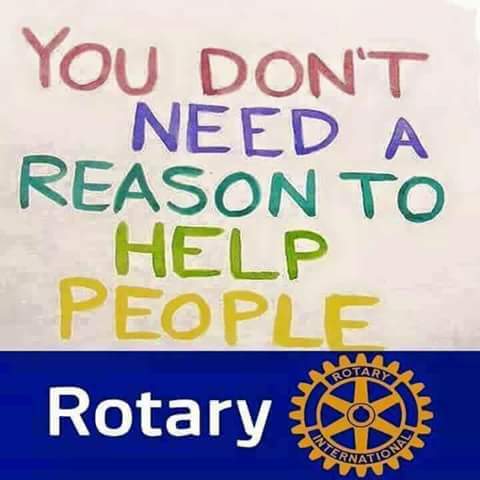 The NJ Rotary Capital District Foundation is legally a separate organization from RI District 7475, but it is composed of active Rotarians from our District. Read about our mission and general information below, and refer to the pages in the left menu for more information about our Board of Trustees, our History, and Guidelines and Procedures for using the Foundation. First: District 7475 educational programs include but are not limited to the following programs: President Elect Training Seminar (PETS); District Training Assembly; District Conference; staff meetings; the College of Governors; Team Training of the AG's & Directors & Officers; Foundation Seminars; Membership Seminars; Interact Officer Training; Rotaract Officer Training; Presidents Meetings; and other district training programs. The District deposits adequate funds from the district dues into the Foundation account so the bills for the training programs may be paid. The District Treasurer collects the dues and forwards an appropriate amount to the Foundation Treasurer. Second: Occasionally, a Governor will run a fundraiser for a cause separate from the Rotary International Foundation. One example is the dinner dance that District Governor Tulsi Maharjan ran a few years ago to raise funds for autism. This fundraiser would be handled through the Capital District Foundation, saving taxes that would otherwise be paid for the same services. Third: Since each Governor needs to shut down his account at the end of his year, it is appropriate to have an account to store funds for multi-year projects which span two or more Governors. The Capital District Foundation can fill that need. Fourth: Since some Rotary clubs do not have foundations, they can use the Capital District Foundation for their fundraisers. However, club fundraisers using the Capital District Foundation umbrella need to deposit collected funds in the Capital District Foundation account, and then have funds withdrawn again to pay bills. This ensures that a "paper trail" exists, showing that all project revenues and expenses passed through the Capital District Foundation. The IRS has the ability to do five year audits to confirm that we are acting properly, so this format must be strictly followed. For any questions, please contact PDG Dr. D. Michael Hart. PDG Mike is available to come to club meetings to discuss the Capital District Foundation. Please note that, when submitting checks for your project, you will make your checks payable to "NJ Rotary Capital District Foundation," and indicate in the memo line the project for which the check is being submitted.